Ahhh, retirement. Time to relax on the golf course or travel to exotic lands. But if you own multiple investment properties in numerous jurisdictions, your real estate holdings may become a burden in retirement, consuming both time and money. Before you surrender and sell all your investment property, consult with your wealth advisor and explore all the potential solutions. “Decisions about how to handle real estate investments prior to retirement are extremely individual, but in general, investors need to consider what their cash flow will be like in retirement and how they want to handle their real estate investments in the context of family dynamics,” said Malia Haskins, a wealth strategy consultant with RBC Wealth Management in Minneapolis, Minn. Many real estate investors start with one or two residential properties and then eventually find themselves in their 60s or 70s with a portfolio of property investments, said Cliff Hockley, president and principal broker of Bluestone and Hockley, a real estate management firm in Portland, Ore.
Hockley said property managers typically charge three to 10 percent of your rental income. “If you own $100 million or more in real estate, an asset manager will probably charge you a fee of two percent of your rental income,” said Hockley. Van Pate, a wealth strategy consultant with RBC Wealth Management in Charlotte, N.C., said he asks his clients how long they want to be a landlord. “Most people say they want to wait until they are 80 to sell their property, but often they have hired someone to manage their properties, or own property that essentially runs itself and just generates automatic monthly rent checks,” said Pate. Hockley said one option for people who want to simplify their investments—yet stay in real estate—is to transition from residential properties to commercial buildings, since commercial properties tend to require less hands-on involvement. Haskins worked with a family that inherited a property portfolio including hotels, rental homes and farmland. They initially considered selling the properties because the heirs were too busy to manage the real estate, but following Haskins’ recommendation, they hired a chief financial officer to handle the real estate investments for the whole family. “They realized that the investments were worth keeping, liquidated a few properties because the timing was right, and now they’re actually adding property to the portfolio,” said Haskins. While selling your real estate investments and investing the profits elsewhere may seem like the easy way out of landlord duties, Haskins warned that divesting yourself of property must be handled with caution. “You have to be careful of the timing and the tax consequences of selling,” said Haskins. Pate said investors should evaluate their portfolio so they have the appropriate diversification of locations and property types. 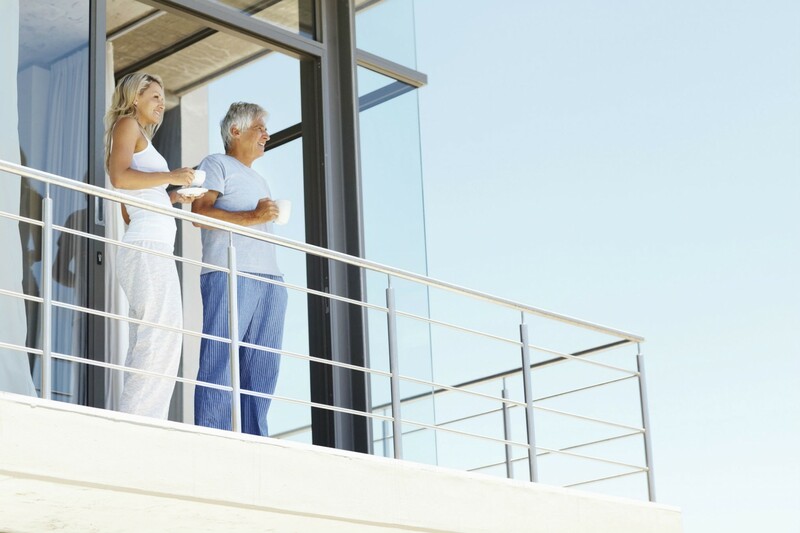 “You need to decide which properties to sell while you’re in your 60s, and which properties generate the most income that you could use when you’re fully retired,” he said. Haskins said some investors need to reduce their exposure to real estate if their portfolio is heavily invested in property, yet still consider cash flow. Pre-retirees who decide to keep their property—but want to build in protection for their heirs and their investment portfolio—can choose between a Limited Liability Corporation (LLC) or a Family Limited Partnership. Haskins says most people opt for an LLC but the decision depends on state laws, local customs and attorney preferences. Retirement planning and estate planning are closely linked. Pate said some families who think they are making decisions to simplify their investments around this time actually make them more complicated. That’s why many families opt for an LLC, which provides shares so that each family member owns an interest in the LLC rather than an individual property, said Pate. Another benefit of an LLC is that you can transfer shares among family members while the original owners are alive and after they pass away, said Pate. Even if you have a separate LLC for each property, you can roll them into one master LLC or a Revocable Trust to simplify your real estate investments. “The main thing to consider during your retirement planning is whether your objective is to sell your property and move into retirement without the necessity of hands-on involvement, or to leverage your property as part of your investment pool after retirement,” said Haskins. If you’re uncertain which strategy is best for you, a wealth advisor and an attorney can help you restructure your property portfolio to suit your needs. Michele Lerner, a Washington, D.C.-based freelance writer has been covering personal finance and real estate for more than 25 years. Her work has appeared in numerous publications including The Washington Post, Bankrate.com, The Motley Fool, REIT magazine, Fox Business News, National Real Estate Investor magazine, DailyFinance.com and New HomeSource.com.